Jessica is a sophomore at Long Island University - Post and is expected to graduate with her Bachelor of Science in Nursing in May 2021. Upon graduation Jessica plans to pursue a position on an Intensive Care Unit. Jessica is a first generation Peruvian-American and proudly embraces her roots. She is the youngest of three children and is a proud aunt to her 11 year old nephew. She currently serves as Vice President of L.I.U. Post’s Student Nurses’ Association, established in the spring of 2018. While serving on her school board, she coordinated Narcan® Certification and Roundtable Addiction Discussion for all students on campus. She has coordinated various educational presentations including a Domestic Violence Presentation and an Organ Donation Misconceptions Presentation with LiveOn NY. Jessica has previously served on the Nursing Students’ Association of New York State (NSANYS) board as Breakthrough-to-Nursing Director. During her term she conducted four Hand Washing Workshops in which nursing students from eight different schools volunteered their time to help facilitate proper hand washing techniques with soap and water, utilized a Glo Germ to assess how well children washed their hands, and how to properly use alcohol based sanitizer. Over two hundred students between kindergarten and fourth grade were in attendance. Jessica has attended the 2018 NSNA Summer Leadership Conference, the NSANYS 67th Annual Convention, What Makes You DiffeReNt? where she was elected President, as well as 3rd Annual Council of the School Leaders' Summit. ​Outside of the classroom, Jessica works as a Unit Ambassador in an Intensive Care Unit and serves as Chair on the ICU/SICU Collaborative Care Committee. She has worked on various evidence-based improvement projects, most notably “Reducing Hospital Acquired Anemia” which placed first at Huntington Hospital’s Annual Collaborative Care Poster Presentation. She is currently serving as the Hand Hygiene Champion on her unit, where she is responsible for the ensuring that all caregivers properly wash their hands to prevent the spread of germs. As President, Jessica’s goal is to build an Executive Board that embodies NSANYS goal “to mold the future of nursing by developing accountable, responsible and motivated leaders.” She is eager to take on her new role and can’t wait to have another successful year. Aniko Radnics is a new graduate from Nassau Community College’s Associate Degree Nursing program. She currently attends the College of Health Professions, Lienhard School of Nursing at Pace University pursuing a Bachelor of Science in Nursing. Her involvement with NSNA started when she became committed to establish a chapter at Nassau Community College after attending NSNA’s 66th Annual Convention in Nashville, TN as Secretary of the Nursing Club at the time. She was inspired by seeing nursing students as leaders and the diversity of career paths she learned about during the convention. Later in the term she also served as Regional Director of NSANYS on the 2018-2019 Auxiliary Board and is very excited to apply and advance her leadership skills and Co-Vice President. She is planning to encourage nursing students from all over New York State to participate in NSANYS’ activities, while working on organizing high quality inspiring events. Aniko is also a former flight attendant and a mother of two boys. In her free time she enjoys spending time with her family, travelling, reading and learning about different cultures. She is looking forward to start her career as a registered nurse and is still deciding on what she would like to specialize in. Currently she is volunteering at an inpatient oncology unit. Nicholas Salvatore is a Junior in the Molloy College Nursing program currently pursuing a BSN. After finishing his degree, Nicholas plans to gain nursing experience in the clinical setting, and then return to school and advance his education to the Master’s level to become a Nurse Practitioner. This is Nicholas’ first position on the NSANYS board and was inspired to run after meeting the previous Co-Vice Presidents Megan Scali and Grace Crockett. After seeing how much of a difference they made and how their time with NSANYS became such a positive experience for them both, he knew that running for office was the right choice. He is also honored to share the Vice Presidency position with Aniko Radnics, and is excited to work with her in planning a memorable and exciting Annual Convention. ​When he was younger, he was an active member of the Boy Scouts of America attaining the rank of Eagle Scout, during which he helped revitalize a World War II memorial in his hometown as a part of his Eagle Project. Nicholas hopes to use the leadership skills he obtained in the Scouts to become an effective NSANYS Board Member and advance the goals of the current administration. Victoria Waskiewicz is a freshmen in the BSN program in the Barbara H. Hagan School of Nursing at Molloy College. Despite being in her first year, Victoria has already made a big impact on the student body. She serves as the secretary of “ZenDen” and “Operation Smile” and has recently started a support group called “Thrive” through the counseling center. This program has helped many student overcome the stressors that most college students have a bigger chance of facing. ​She is also a member of her school’s local nursing association chapter and the Friends to RNs club. In addition to this, Victoria also enjoys music and the fine arts. She performs as a soprano and is currently involved in MPAC (Molloy Performing Arts Club). Victoria has also been involved in numerous volunteer endeavors including being a junior volunteer at John T. Mather Memorial Hospital and completing her Girl Scout Gold Award. Someday, Victoria aspires to become a pediatric nurse but is still weighing her options. She is very excited to begin her work as secretary of such an amazing group of board members. Jillian Dempsey is a junior majoring in Nursing and History at Stony Brook University. She is the Treasurer of Stony Brook University’s Pre-Nursing Society, an on-campus organization which prepares and mentors future nursing students. In this role, she helps plan general body meetings, runs mock interviews, participates in campus involvement fairs, and prepares a budget for the club. For the last four years, Jillian has worked at a math learning center where she is now a Lead Instructor. She also volunteers as a leader for her parish’s 8th grade program. In this role she helps plan and facilitate activities and meetings for the group. Jillian enjoys going on domestic service trips through her parish and school. To date, she has been on three service trips and loves traveling to aid underserved communities. Jillian is honored to have been elected to serve as the Treasurer of the Nursing Students’ Association of New York State for the 2019-2020 term. She is excited to be involved in the planning of next year’s convention and she looks forward to working with the new Board of Directors. During her time in office, she is hoping to be a valuable resource to student nursing association chapters by encouraging low-cost events and fundraising. Jillian is graduating Stony Brook in May 2020. She is looking forward to further developing her leadership skills through her position on the board. She hopes to work as a critical care nurse after graduating. Alyssa is currently a junior pursuing her BSN degree at the Barbra H. Hagan School of Nursing program at Molloy College. On the morning of the 67th Annual Convention, she decided to run from the floor, all thanks to the support of her closest friends. She is thrilled to be the current Communications Director and is already brainstorming new ideas. Growing up in Queens, New York, Alyssa is surrounded by and appreciates each unique culture. She wanted to share her Filipino heritage at Molloy College, and decided to start a new cultural club with her friends (Molloy Asian Student Association). When she isn’t studying, she loves spending time with her loved ones. She grew up as the only child in her family for almost a decade. Now, she has many siblings and cousins to look after. Being surrounded with children creates a special place for them in her heart. She wants to continue to grow, learn and experience what life has to offer in order to provide the best care for her patients. Cassandra Skula is from Seaford, Long Island. She is currently a student in Nursing at Nassau Community College. She is expected to graduate in May 2019 and continue for her BSN. Attending her first NSANYS convention this year, she was inspired by the previous board of directors as well as the keynote speaker to run for Community Health Director. 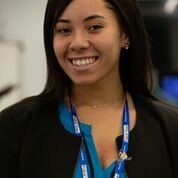 She stays active in her college by serving as President of Nassau Community Colleges local NSNA Chapter, Vice President of the Nursing Club, and is a student representative on the Academic standing committee. She has also branched out and has donated time to local daycares. Cassandra also volunteers at daycares and schools to teach children about the equipment used in the medical field so they will be less afraid. She also gives away goodie bags to the children and educates the parents of the importance of vaccines. As NSANYS Community Health Director Cassandra hopes to inspire and motivate other nursing students to be the best they can be! Kristina Fanos started Molloy College in their non declared pre nursing program. After successfully completing her first year; Kristina is now in her sophomore year and is overjoyed to be embarking on her journey to obtain a BSN degree. Kristina will pursue a Master's degree in Nursing upon graduation with the determination of becoming a Nurse Anesthetists. Jessica Allen is a junior in the Basic-Baccalaureate Nursing Program at Stony Brook University. Before studying nursing, Jessica had studied Music Education in Voice at the Crane School of Music at SUNY Potsdam. Jessica has a background in music, and performed at Carnegie Hall in May 2016 with her chorus prior to transferring to Stony Brook University. Jessica is currently a part of Camerata Singers which is a select choir on campus. During Jessica’s time at Stony Brook University, she has been very involved on campus and in her local community. Jessica has past experience working on the Executive Board for Stony Brook’s American Red Cross Club where she was Blood Drive Coordinator Assistant, in addition to Community Service Chair. Jessica spent one year holding these positions prior to beginning nursing school. As a nursing student, Jessica is currently on the Executive Board for Pre-Nursing Society as Community Director. This position entails scheduling and attending community service events with club members. Jessica enjoys this position because it helps pre-nursing students gain community service hours, and it helps Jessica to be involved in the community. Additionally, as a member of Stony Brook Student Nurses’ Association (SBSNA), Jessica is on the Fundraising Committee and Communications Committee. On the Communications Committee Jessica holds positions as Co-Director of the bi-annual SBSNA Newsletter, in addition to being the Co-Director of SBSNA’s Social Media Outlet. Jessica thoroughly enjoys being involved in this organization as both a leader and a team player. With this said, she is looking forward to what the future brings as NSANYS Policy and Education Director. Emilia Salazar is currently a junior in Hunter-Bellevue School of Nursing (HBSON) at Hunter College. In HBSON, Emilia is a researcher and writer of the Resolution Committee, with her school’s current resolution being to educate the youth about the effects of E-cigarettes. Emilia is also a member of the Teacher Evaluation Committee, where she projects ideas that will increase teacher evaluations with the reasoning that more teacher evaluations will fix mismatches seen in Nursing School. At the main campus, Emilia currently serves as Treasurer for the PossAbilities Club, where she organizes and handles the financial aspects of events that allow inclusive culture to take place. Emilia is a member of the CUNY Coalition for Students with Disabilities (CCSD). Most recently, Emilia has traveled to a press conference in the New York State Capitol Building in attempt to raise funds for disability services. In her free time, Emilia likes to volunteer, do artwork, read, and explore the Big Apple. While a student at Midwood high school, she helped underrepresented students with their homework, and served as a Spanish interpreter. In addition, she was part of a group of students that painted eggs for The Fabergé Big Egg Hunt that were displayed at Rockefeller Center and that now reside in her high school’s library. 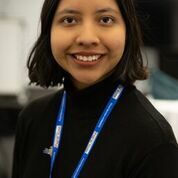 She has participated in NYC Walk4hearing, Summer Streets, Disability Pride Parade, served as the Secretary of the PossAbilities Club, and volunteered at SUNY Downstate’s Labor and Delivery Unit. In the future, Emilia wants to work in pediatric behavioral and mental health to help children overcome adversities. Emilia also wants to be trilingual and is currently learning American Sign Language, and interning at IRT Theatre. As the newest NSANYS STAT Newsletter Editor, Emilia hopes that the newsletters published will be well rounded, contemporary, and not only provide helpful information to nursing students in New York, but to nursing students across the United States. Connor is a junior in the Basic Baccalaureate Program at Stony Brooks School of Nursing and is the 2nd Vice President of the Stony Brook Student Nursing Association. Connor was on the NSANYS board for 2018/2019 as the Western Regional Director for. Connor was elected as the Regional Director chair and Nominations/Elections Chair and will hold the Western Regional Director position as well for the 2019/2020 NSANYS board. He is very excited to work alongside his fellow board members and future fellow nurses. Before attending Stony Brook, Connor fulfilled all of his pre-requisites at Suffolk County Community College. Over the last 8 years Connor has been involved in a non-profit organization called Blanca’s House, which is what sparked his interest in the medical field. With Connor attending 14 medical missions throughout Latin America helping those in need, he found that nursing was the type of career that he wanted. For the last 4 years Connor has been the Junior Volunteer Coordinator for Blanca’s House. Aside from these leadership rolls Connor holds, he is very active in the Manorville Community Ambulance where he is on the board of Directors and the Vice President of the Benevolent Association. After graduating from Stony Brook as an RN, Connor plans on continuing his education in hopes of becoming a Certified Registered Nurse Anesthetist. In his spare time, Connor enjoys traveling, snowboarding and being with his family and friends. He looks forward to this opportunity and meeting others throughout his education at Stony Brook University and on the NSANYS board.